Today’s goal was to get Sylvia’s Car into the garage. 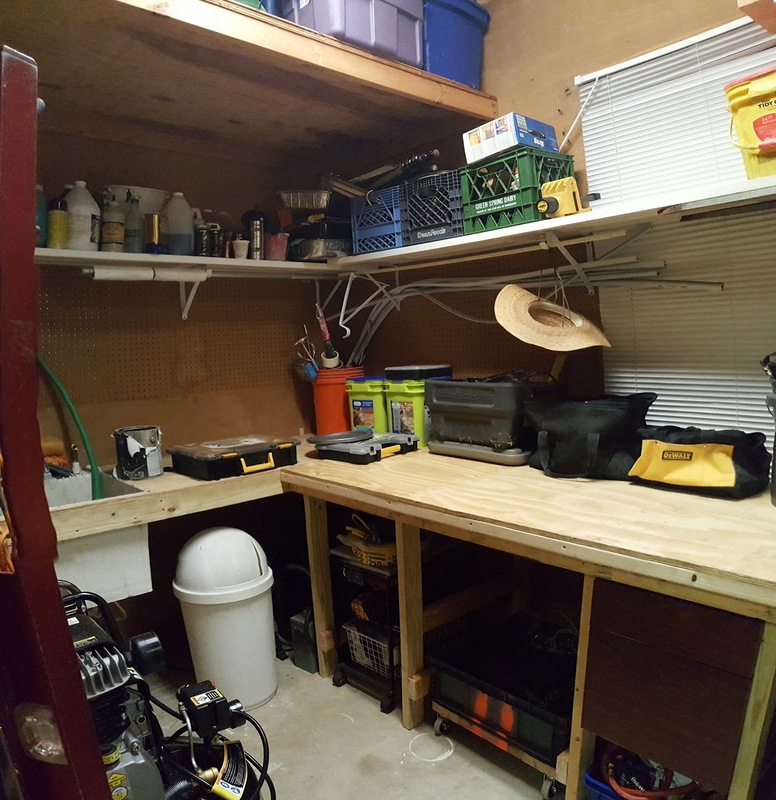 That meant that I had to finish up a few work bench projects and then move my stuff back into the workshop. I replaced the wooden peg board and and permanently mounted my Access Point and tool bar. At first I had the Access point here. Then I moved it. 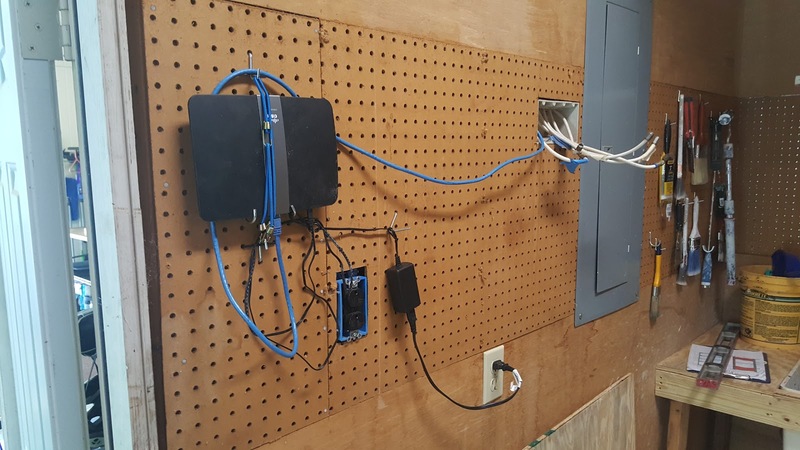 I added my tool bar and moved the WiFi access point closer to the power panel. Yeah I know all about ethernet being too close to electrical power. I will move it later. 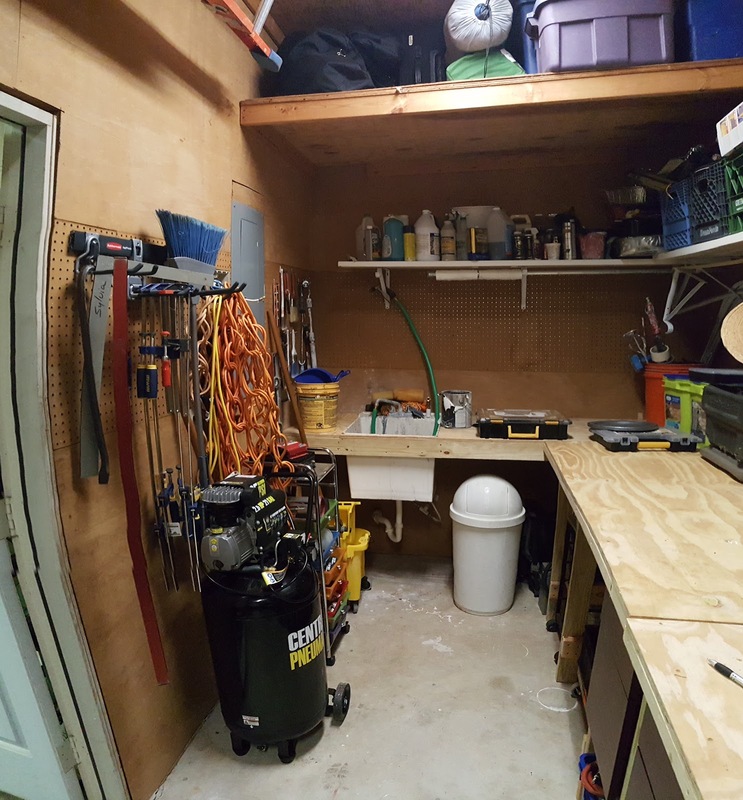 I got the drawer mounted and I built a rolling box for my power tools. I got the inspiration for the rolling box from April Wilkerson. I used a plastic tray that a mold contractor left at our house a few years ago. 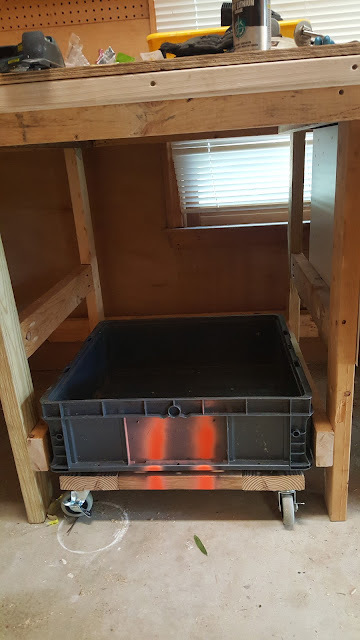 I mad the plastic crate fit on to a lolling platform. 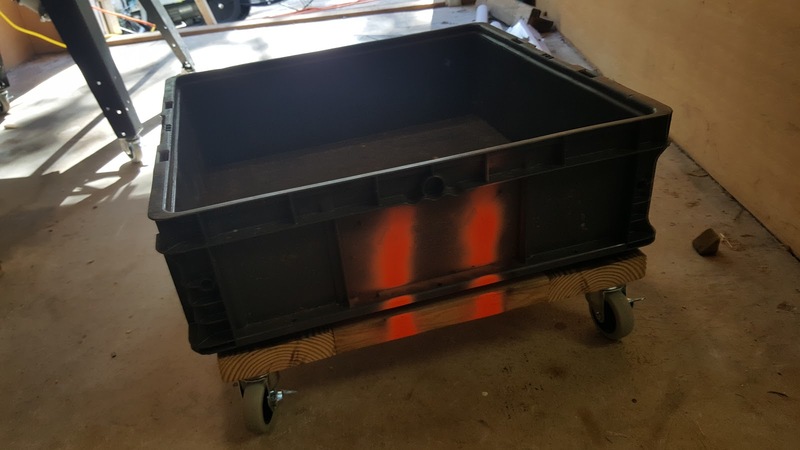 I can remove the crate and use the wooden dolly to move other items. 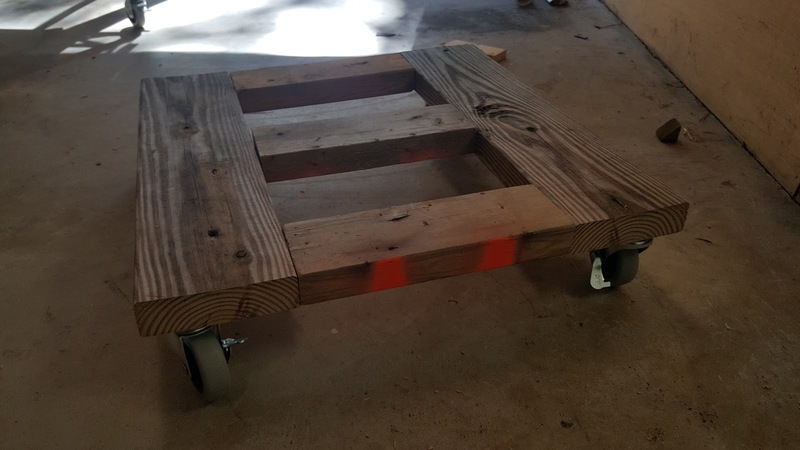 These 2x2s allow the crate to remain stationary on the wooden dolly. Thsi is the wooden dolly. I painted one end of the crate and the dolly so that I know which end matches. The rolling drawer in place under my work bench. I built a lumber rack to store long pieces of wood. I am following the design ideas that I got from watching several woodworkers on YouTube. I have a small shop, but I am adding several elements that all shops have and a place to store wood material is one of them. Here are some final shots. Right side of the garage. Two new toilets are blocking the yard equipment and yard tool bar. The toilets are going into the bathroom projects. The complete view of the garage. I built some shelves on the back wall to store stuff. The metal work bench that was in my shop is on the left near the freezer. 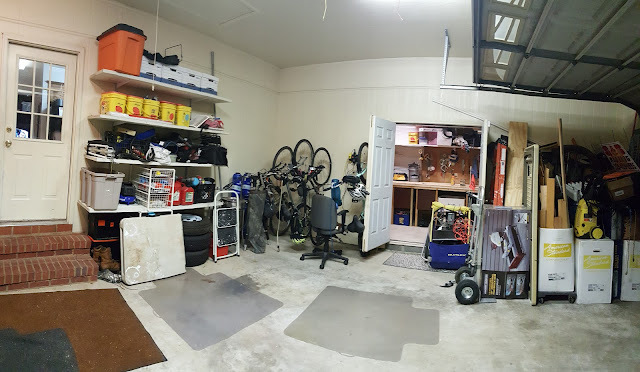 It took a long time to get an organized garage, it almost took all summer. Door view of my workshop. Lumber storage is on the right. 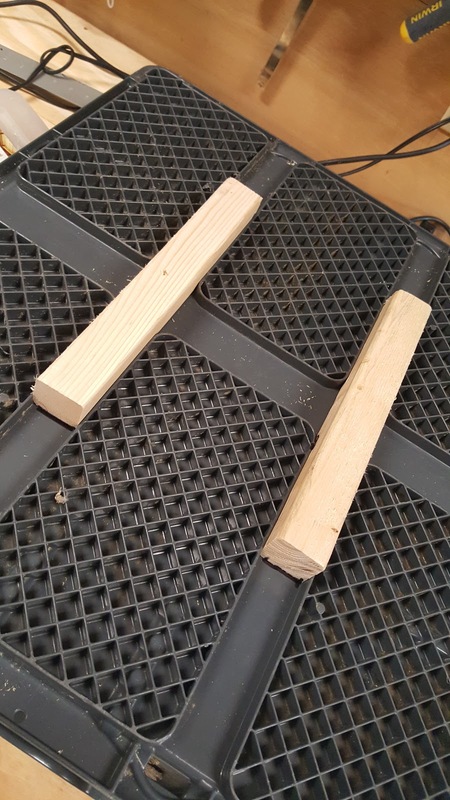 I put py long lumber on some shelf brackets. My workshop corner with sink at the left. 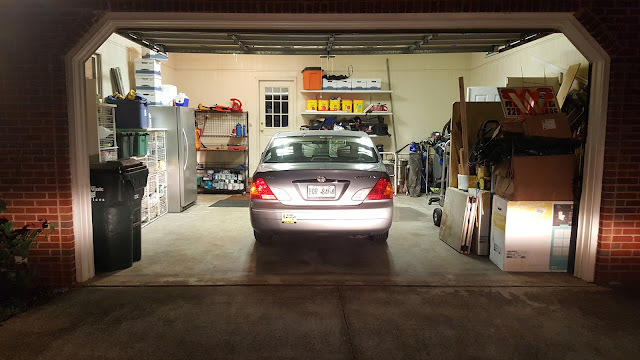 My wife’s birthday wish was to have her car in the garage today. 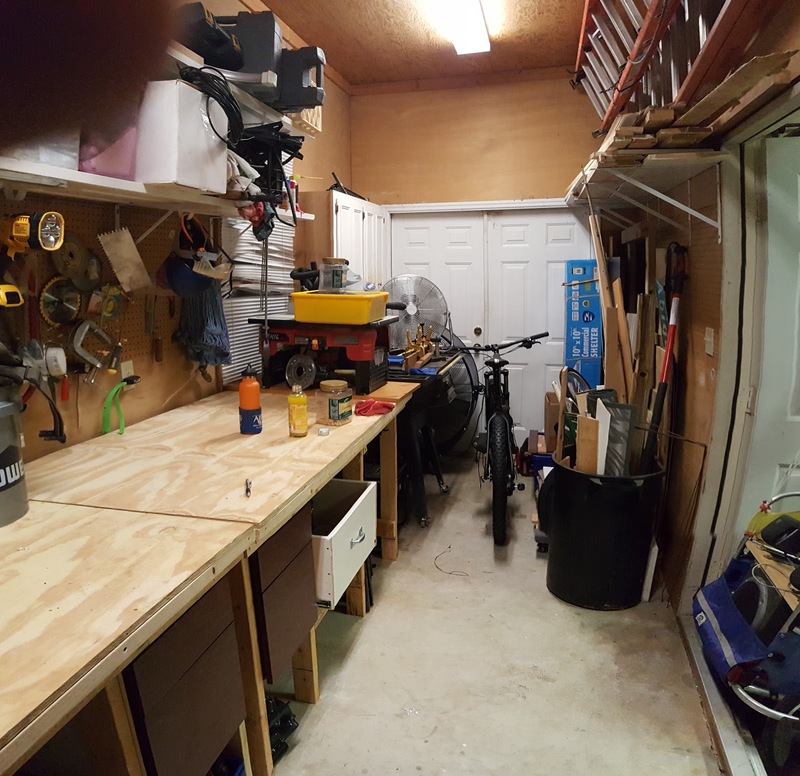 All in all I am happy with the garage and the workshop. I still have a lot of tweaking and organizing to do. 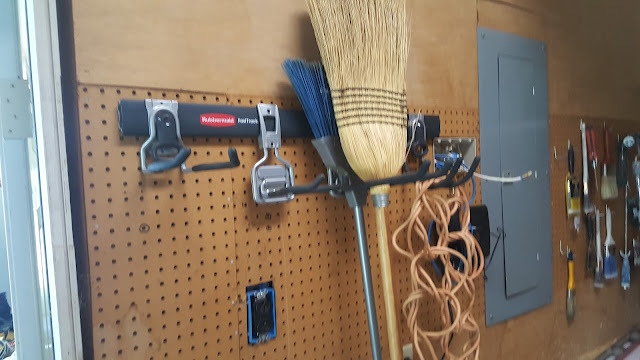 One thing that I like about my workshop is that I still have places to store stuff. the larger work surfaces of the work benches and the drawers will allow me to categorize my tools in the future.